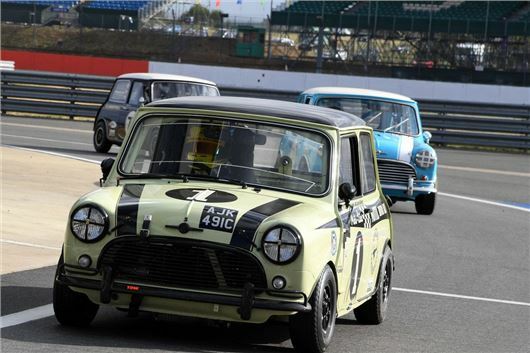 Mini owners are being offered an opportunity to be part of the little car’s 60th birthday party at this summer’s Silverstone Classic (26-28 July). 'This is a big birthday for everybody’s favourite little car and we want to encourage all those lucky enough to own a charismatic original Mini to be part of what promises to be a very special 60th birthday,' explained Nick Wigley, Silverstone Classic CEO. As well as honouring the Mini in record-breaking style, this year’s Silverstone Classic is also marking Bentley’s centenary and 50 years of the Ford Capri. The track programme also features evocative retro races for prized Formula 1, Formula 2 and Formula 3 single-seaters for the very first time.